Post your best astrophotography efforts and your latitude. 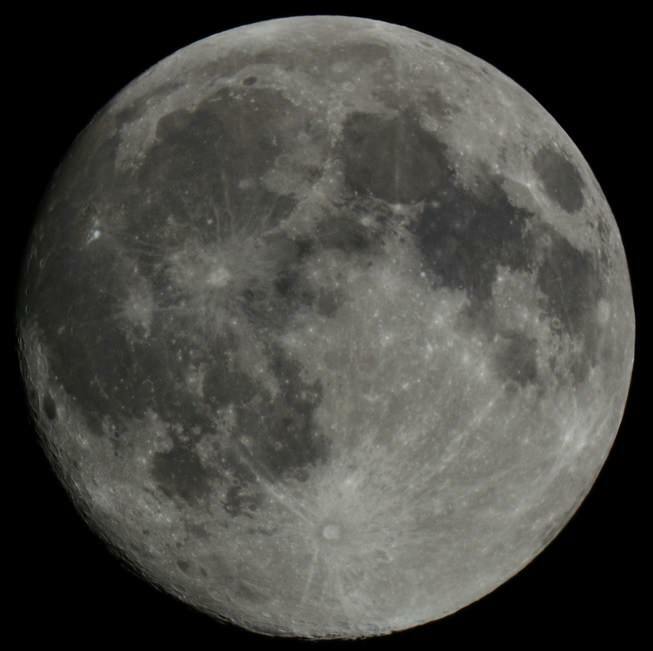 Here is mine taken at latitude 55.86N using a 200mm newtonian on clock driven equatorial mount. The frame was aligned orthogonally to the horizon & the camera was a Canon 1200d set for 2 minute exposure on a clear night with the target due south. Re: Post your best astrophotography efforts and your latitude. Thanks, these are awesome, I'm unable align the stars in M42 to get a sensible verification of your latitude probably cause your using a 150(skywatcher?) and I'm using a 200 and I can't really use the moon without a date/time/direction since its on a 5 degree tilt. A photo of a half moon just before moon set would be perfect then I can measure the angle of the terminator to the horizon. Your moonset angle should be at least 13 degrees different from mine for a globe & I can't think of an FE theory that would explain that. I'll also take sunspots on a setting sun provided I can get the sun where I live- weather is a challenge. I couldn't find the date of the first Moon picture. 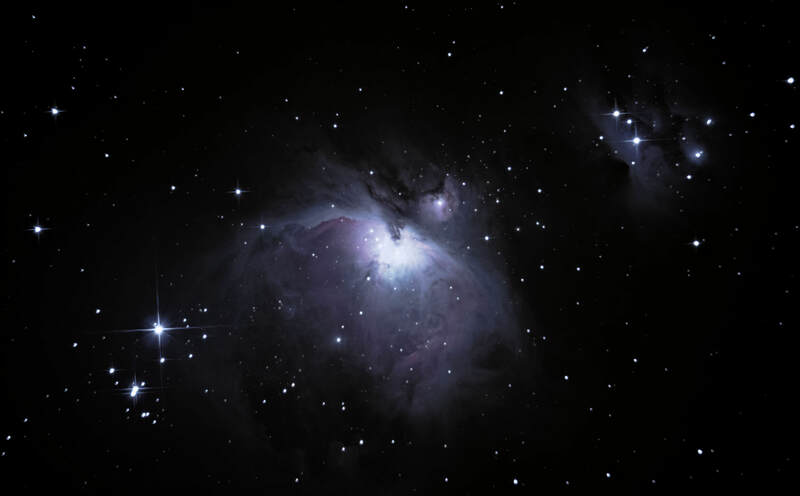 M42 was shot on 25th October 2017 at 4:30am GMT. 10th November 2017 at 3:10am GMT. Azimuth 131.4° and Elevation 54.5°. The frame is tilted to fit the Moon. Not sure what time you mean. Like 1 hour before? Maybe we could set a date to shoot? Finally captured a moon with earthshine. Interesting to me that you can see that with the naked eye, but in order for me to capture it with a camera I had to overexpose the lit portion of the moon. You don't see the shine bloom that much in real life. I tried all sorts of different settings but whatever knocks out the brightness and glare hides the earthshine. Nice shot! It's not easy to do. A smaller crescent would make things easier. I'd suggest bumping the ISO to 800 (since the lit part is overexposed anyway). Also, focus manually on infinity before the shot. I'll give that a try in the morning before dawn on the waning crescent. The best I could do with my camera. ISO 800 with 1 sec exposure at f/6.5. Couldn't get it any sharper at that shutter speed, even with remote release. Tried keeping the illuminated sliver out of frame to control brightness and enhance the earthshine. 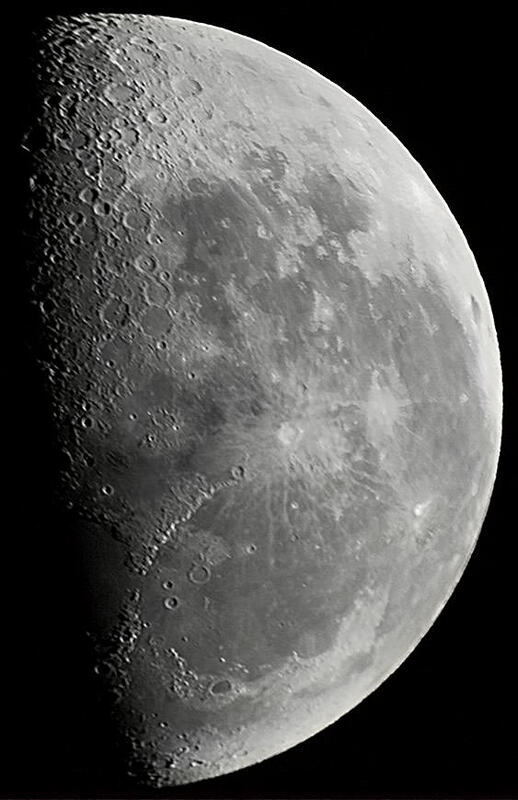 This moon was 11% illuminated. And props for actually going out there and taking pictures... That's more than most here do. Tried this evening to capture the first sliver of the waxing crescent. Very nice Last picture seems as good as can be. Keep it for when people claim that the Moon gets transparent and they can see stars behind the dark! I like how you respected the original request of getting both the horizon and Moon terminator in the same shot, horizontally aligned. Maybe we could have another astrophotography thread somewhere?